At almost every workshop that I run the challenge of time management crops up, particularly related to email. Here is an approach to help you prioritise and manage both your email and your time more effectively. Why? Taking control of all of those tasks will create space to focus on what is important and allow you to work more productively. So, here are the four Ds for dealing with tasks and which work particularly well with email overload. 1. Deal with it. If it is important or urgent, deal with it immediately. It is then cleared and out-of-the-way. You will save time not having to flag, move, remember and revisit it later. 2. Diarise it. I used to put a flag on everything that needed attention. Result? A long list of flagged items that I seldom got around to managing. If you diarise two or three flags into specific days in your calendar, provided you are disciplined, you will deal with them and keep the list of flagged items to a minimum. 3. Delegate it. Look at the task. Are you the only one who can deal with it? If it isn’t urgent why not delegate it if you can? Even if you don’t have a team, do you or could you have a Virtual PA or other external resources? 4. Dump it. Whatever remains that is not urgent or important – dump it. One colleague of mine never looks at emails where he is not the prime recipient. May not be right for you but it certainly keeps his inbox manageable! The Week: I continue to rush towards the end of the year by finalising my coaching assignments. On Monday I met my BT apprentice whom I have been coaching. It was great to see his development and meet in person. I also had a business development session with my strategic partners relating to a bid we have won for the NHS Institute to provide several Masterclasses. I lead the one for Boardroom Behaviours and Competencies. On Tuesday I went to the KPMG luncheon meeting in Ipswich. Three marketing meetings on Wednesday and then a client close-out workshop for the SJIC Coaching for High Growth Programme. Reading for the week: “Shift from One to Many, A Practical Guide to leadership” by Chrismon Nofsinger. As the title suggests this book focuses on moving away from the personal need for recognition to one of facilitation and empowerment which is required to truly move from Manager to Leader. Lighter Reflections. I have studiously avoided getting too chummy with our cat. For two reasons. Firstly she belongs to our son and secondly I belong to our dog. Loyalty and ownership boundaries are clearly defined. However, since Guy has gone to Boarding School, Moshie has looked around for the next similarly sized body and decided that I am her new No 1. best pal. She follows me everywhere, demanding attention via activities such as jumping up onto my keyboard and sending gobbledegook emails to my contacts to leaping onto the bed to groom my hair at 3.a.m. in the morning. She either drapes herself around my neck like a muff or arrays herself across my head giving James a fright as he thinks I have taken to going to bed wearing a Davy Crockett-style hat. So, in desperation I bought a cat igloo basket and placed this invitingly, at the end of the bed. 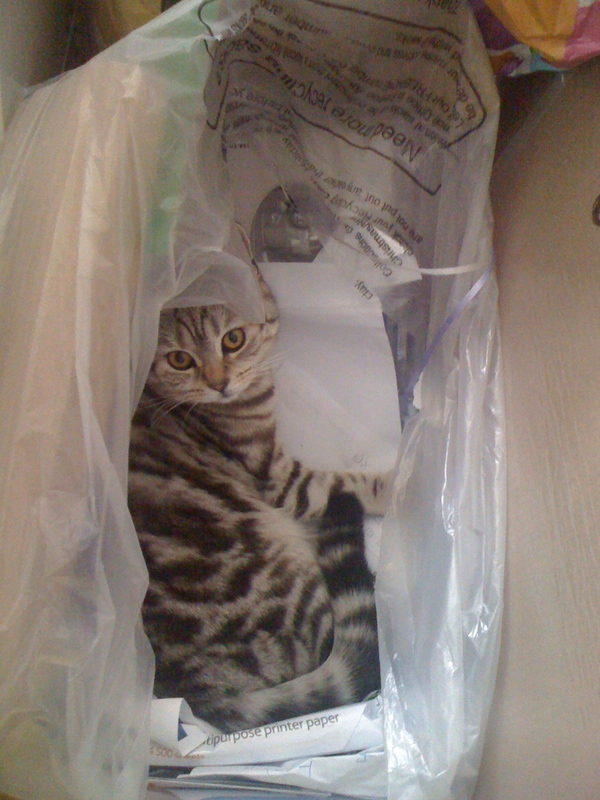 After all, she will climb into anything – carrier bags, boxes, rubbish sacks. Her new igloo? No, of course not. It sits abandoned in splendid isolation. Of course she cannot be told and won’t take a hint. Any advice anyone? Finally, this will be my last blog over the Christmas period so I send you season’s greetings and wish you a very Happy New Year. Until 2012! First its great to read that your biz is soaring n to outer space (yes Siobhan can tend to exaggerate a bit some times…. 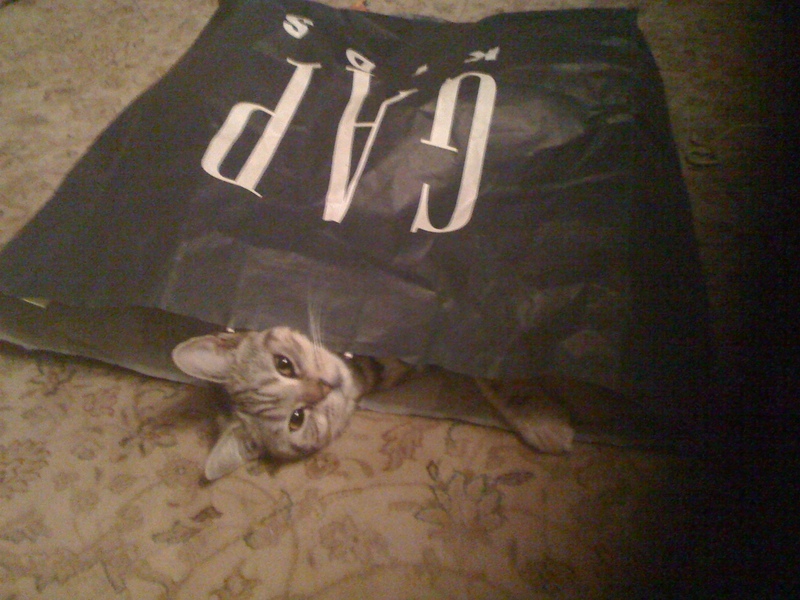 Second your wonderful cat “issue’ she is lovely so the only advise I can give you is to let her do what ever she wants to do. Puss will never be told. Just one thing if you want to get up in the middle of the night (every night) to let her out all you have to do is to just start doing it. Ours too act as random PA’s as well. Notice I said MR you would get me falling for that nonsense.